SMS marketing is a beneficial promotional tool that allows you to reach current and potential drivers with the sending of a simple text message. Not only do you have the opportunity to let your base know about upcoming deals or sales, but you can use text message marketing to get your name out there. Increase brand awareness while making people aware of your dealership. An SMS campaign can also invite people to text the dealership, or you can offer a helpful service, such as car maintenance tips via text. To get you started, SlickText has four foolproof ideas. Auto dealers who use text marketing will find there are several ways in which they can use the service to benefit their company. Among those is for lead generation. 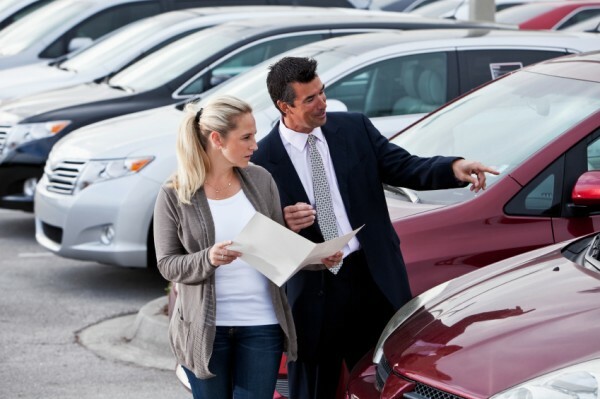 If you do not already know, lead generation is compiling names and numbers of those who have shown in interest in buying a car from your dealership or someone in the same area. With lead generation you can convince those hesitant to make a purchase to go ahead and seal the deal while attracting numerous other newbies into the scene. Lead generation is important in compiling a list of people to market to via text marketing. Auto dealers have numerous options for gaining those names and numbers and using text marketing for lead generation . – Freebies: giving a freebie away in exchange for a mobile opt-in is common among auto dealers. There are tons of ideas for the freebie, and keep in mind the better the offer the more people that will respond and take advantage of what is being offered to them. – Test Drive Incentives: Auto dealers across the country are offering gifts in exchange for test droves. These gifts are pretty amazing, ranging from holiday dinners to electronics, gift cards and more. Simply text your number to a short code to take advantage of this offer. Customers love this one and will opt-in for your offers. – Car Buying Incentives: Using creativity can help you excels in building a marketing list as an auto dealer. You can use this form of communication to noted customers of special deals, offers and incentives that may convince them to make the purchase when the offer is right. There are tons and tons of ways that auto dealers can use text marketing to benefit their company and gain more names to their marketing list. The above ideas are only a handful of the many ways to build that incredible list that you want and need for successful auto dealership ownership. Once you have built lead generation and have a great list, making more customers and ensuring the profit is right will come easily. You will be able to market and send offers to those who have opted-in, helping you sell those cars with very little work required. Text marketing has taken a turn for the better over the past several years, and it is a good idea that your auto dealership get in on the fun, too. Start building your list using the ideas above as well as your own thoughts and creativity. There are so many ways for you to build that list, so why miss out on reaching all of the people that you can reach? Text marketing is fun, affordable and easy and it is something that can benefit nay auto dealer in so many wonderful ways. Don’t miss out on the chance to reach the audience that you deserve. Check out SlickText’s SMS marketing services for more ideas.